Almost every day on my way back from office, I pass the house ‘guarded’ by these rickety gate. This gate has a rare charm earned by the many seasons it has seen. 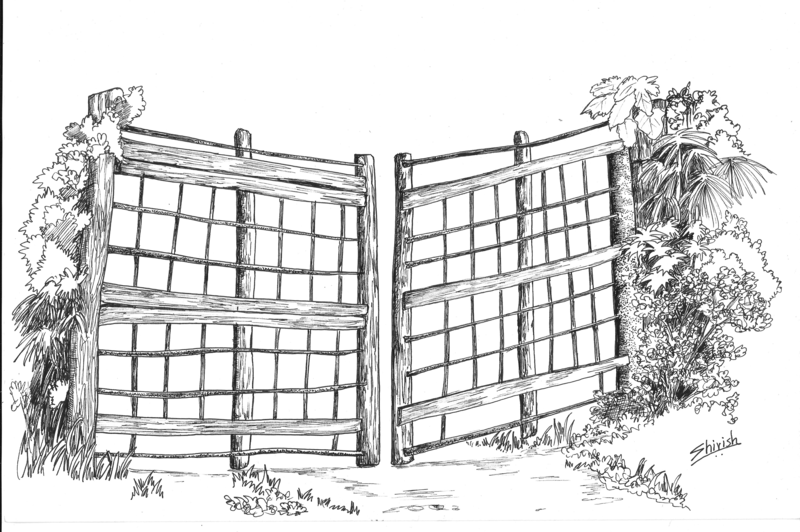 The gate is old, asymmetric, repaired and re-enforced at places, and still barely standing. Fortunately, the owner also seems to have understood the old school charm of this gate. (S)he has erected another ‘proper’ gate a few feet behind this gate, but kept this old rickety gate as a facade leading to the old stone house. Done using Pigma ink pens on paper. 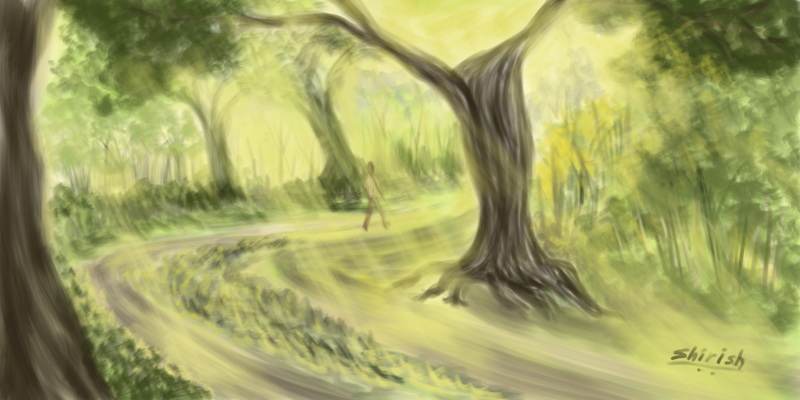 A quick 40 mins sketch using GIMP on Wacom Intuos 4 tab.